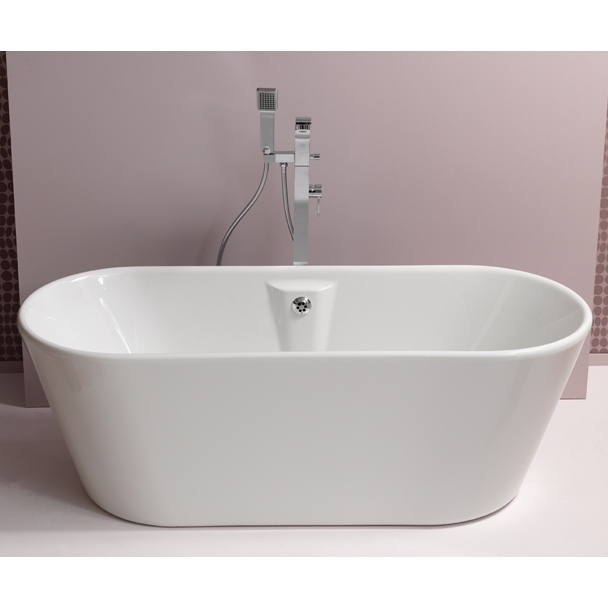 In many respects Freestanding Baths are the rightful heirs of the Roll Top, in that as they are designed as bathroom features, the styling of the tub itself is the feature. They come in all sorts of shapes and sizes and often enjoy matching feature taps and shower heads. The Lauren Freestanding Bath is around a £1000, but you get what you pay for. 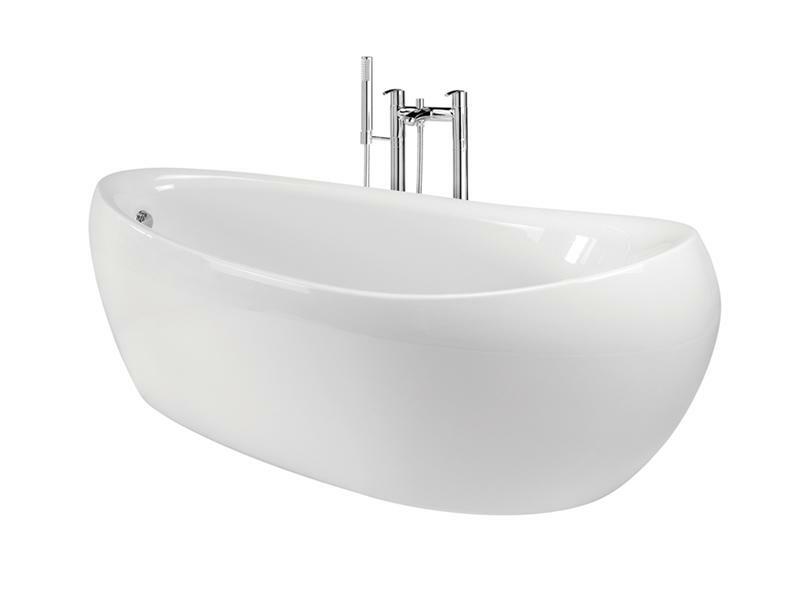 The bath is manufactured by Pura Bathrooms UK and comes with a 25 year guarantee on quality. 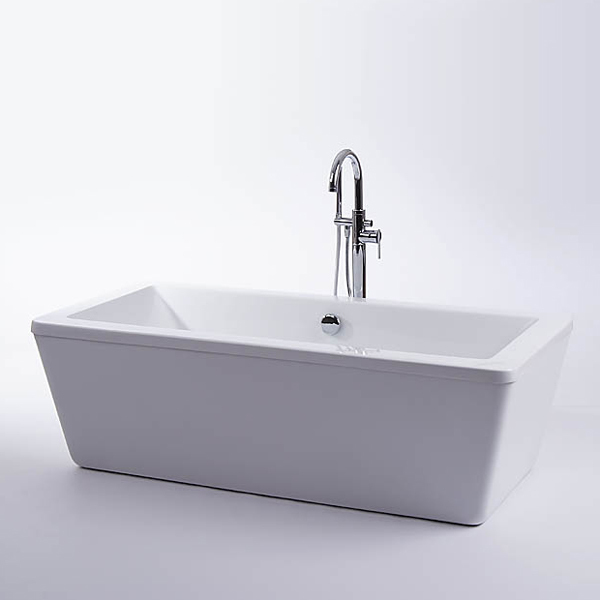 The tub has a thin rim and is designed for use with a freestanding bath mixer tap. 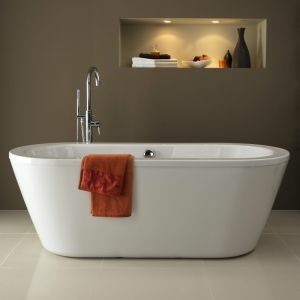 A stylish free-standing bath with a contemporary cube-like design. Constructed from double-skinned acrylic and without pre-drilled tap holes you will be able to position where you want, or include a free-standing tap design. These Modern Double Ended Rounded Free-standing Baths are available at many bathroom suppliers, and have a neat, ergonomic feel that provides a less expensive version of the first bath on this page. All free-standing baths make for a bathroom feature, but this egg shaped bath is a unique and beautifully designed modern tub bath that will make a real feature point in your home.